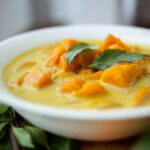 The origin of pumpkin soup dates back to year 1804, to the time of Haitian Independence. 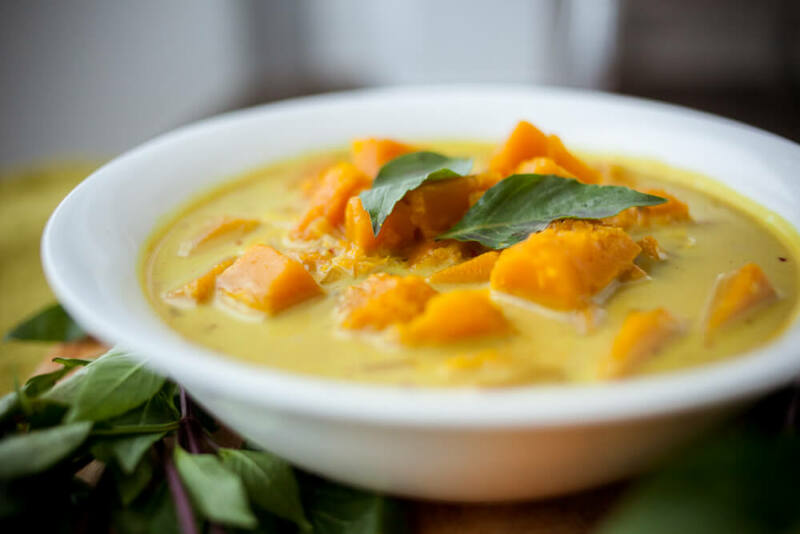 To celebrate their independence from the French Colonists, Haitians created a unique soup from pumpkins. In Haiti, the soup is served to friends and family on the Independence Day to remember the freedom and also eaten regularly in families. Sourness is an important feature of the soup and that is added to the soup by rubbing sour lemon and oranges on the beef before cooking it. The authentic version of the soup consists of picklese, which is a spicy pickling vinegar originating from Haiti. Take a large saucepan and add olive oil, heat on medium flame and add onions. Add vegetable or chicken stock to pumpkins, add salt and pepper. Bring this mixture to boil and simmer for 10 to 15 minutes until the chunks are extremely soft. Add double cream to the mixture and bring to another boil. For creamy consistency, hand-blend the mixture and sieve it into another pan.